For many, that song and lyric references the Christmas season. However, our favorite time of the year is the end of the year, where we reflect on the accomplishments, achievements, and memorable moments of a year gone by. 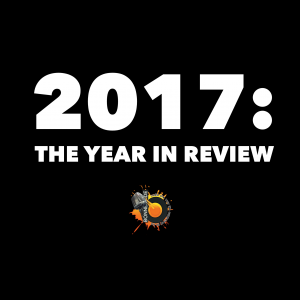 2017 was another significant year in the world of entertainment and faith-based music. Amid a year chock filled with releases and news, it’s our time to gather the events and moments with the most impact and share them here. With that said, let’s dig deep and discover the Top 10 Events in Faith Based Music for 2017. 10. Now You See Me, Now You Don’t?! As much as music is an auditory experience, artists are meant to be both seen and heard. The power of the medium of television can never be understated, regardless of the genre classification. For 35 years, Gospel music had the national outlet of Bobby Jones Gospel. Airing weekly on BET, this platform put names and faces to the music that many had heard either on radio or in their churches. 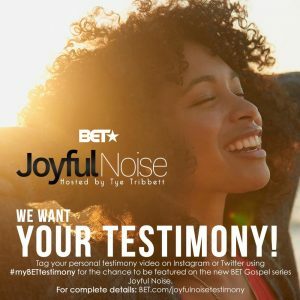 During the summer of 2016, Bobby Jones Gospel went off the air making room for BET’s newest platform titled Joyful Noise. With Grammy Award winner and vibrant personality Tye Tribbett serving as host, this show was looking to bring a fresh and new presentation and opportunity for television exposure. Unfortunately, the idea wasn’t well received with viewers. While Bobby Jones Gospel consistently boasted the highest ratings on BET, Joyful Noise had the lowest ratings of virtually any show on the network. In addition, BET’s hit singing gospel competition Sunday Best has not aired since 2015, with no imminent signs of its return. So, for the first time in many years, Gospel music had no consistent musical television outlet. What does this mean for the future of the genre? Unlike other genres, opportunities for Gospel music to be represented on the mainstream television remain few and far between. Since the genre is virtually absent from performances on awards platforms such as the Grammy Awards, American Music Awards, and Billboard Music Awards, weekly outlets like Bobby Jones Gospel or Joyful Noise become incredibly necessary and valuable. Gone are the days of the Gospel Music Channel and, with no pending start date for Stellar TV, the genre lies in desperate need to be showcased on television. Hopefully 2018 will bring us the platform this genre so desperately needs. For many aspiring artists, it seemed as though the only way to guarantee chart success and radio airplay was to be signed to an established label. This year continued to show us that the power of the Independent Artist grows stronger by the day. Consider this. In this 52 week year, 22 different projects sat atop the Billboard Top Gospel Albums Chart. Of those 22 projects, 45% of them came from Independent artists. Leading the way is Tamela Mann, whose project One Way spent 11 weeks atop that chart and was the top selling Gospel album this year. Consequently, Billboard named the release its #1 Gospel Album for 2017. Other artists such as Anita Wilson, Maranda Curtis, Preashea Hilliard, Emcee N.I.C.E., and others found themselves debuting at #1 on this popular chart. The success of the independent artist wasn’t solely about debuting at the top of the charts. Many found themselves with charting in Top 10 for the first time. Artists such as Meachum L. Clarke & True Purpose, Marica, Kenny Smith, Da’Dra, Anthony Evans, Dale Anthony & Faith Out Loud, Monica Lisa Stevenson, Charles Butler & Trinity, Rose Watson, and Syreeta Thompson all found themselves scoring some of the best chart positions of their careers. The revolution of the Independents weren’t just found on the sales charts but these artists made an incredible impact on radio. In fact, this is the first year that independent artists topped both the Sales and Radio charts in Gospel music. As Tamela Mann topped Billboard’s yearly sales chart, JJ Hairston & Youthful Praise topped Billboard’s Gospel Airplay Year End chart with their Grammy nominated single “You Deserve It”. Hairston released both the single and album of the same name on his newly minted imprint JamesTown Music. 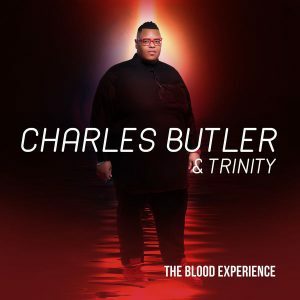 The album of the same title came in at #8 on Billboard’s Top Gospel Albums Chart for 2017, makin it one of the ten best selling Gospel releases of the year. 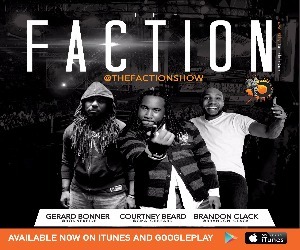 Other independent artists such as Bryan Popin, Jermaine Dolly, Isabel Davis, and G.I. each had singles named among the Top 20 of Billboard’s Top Gospel Airplay Year-End Chart. 2018 shows no signs of stopping the momentum of the independent artist. Some may have missed the impact of NF in this very busy year of faith-based music. After all, this year may have been one of the most polarizing as it relates to the integration of hip-hop into the faith-based community (but we’ll save that discussion for later in this article). When many think of inspirational Hip-Hop, names like Lecrae, Andy Mineo, Derek Minor, and Da’ T.R.U.T.H. tend to be front of brain. This year brought the full emergence of NF. The Michigan based emcee first came into national prominence with his debut self-titled EP in 2014. Since then, he’s released three full length projects. Mansion (2015) and Therapy Session (2016) each made significant impressions, as both albums debuted #1 on the Billboard Top Christian Albums charts. Mansion also debut #9 on the Billboard Top Rap Albums Chart while Therapy Session debuted #1 on the same chart one year later and #12 on the Billboard Top 200 Chart. 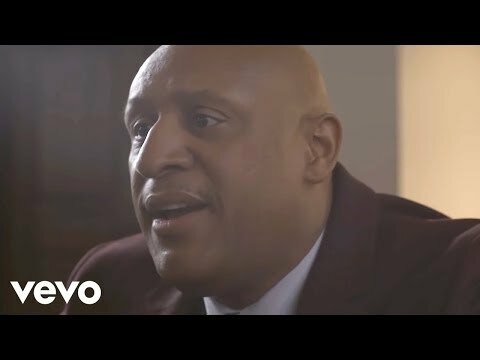 Therapy Session also earned NF his first GMA Dove Award for Rap/Hip-Hop Album of the Year. 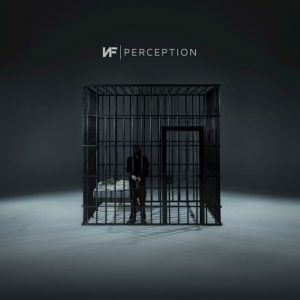 This year, he continued to exceed expectations with the October 2017 release of his junior album titled Perception. The project debuted atop the Billboard Top Rap Albums Chart, and became only the second faith-based hip-hop album to both the Billboard Top 200 Charts and the Billboard Top Christian Albums Chart. Led on the strength of the single “Let You Down”, NF became a crossover favorite and a staple on pop radio. The single is certified Gold while charting in eight different countries. The concept video for “Let You Down”, just released on Nov. 8, has already amassed over 12 million views on YouTube, continue to rise the stock of this thought-provoking and authentic emcee. NF wasn’t the only hip-hop artist to shake up the status quo. Newcomer Emcee N.I.C.E. released his latest effort titled Praise. The project, on the strength of a Richard Smallwood cover “Angels”, shot to the top of Billboard’s Top Gospel Albums Chart. The album spent three weeks at the top of the chart, besting new music from Grammy winner Tasha Cobbs Leonard, Bryan Popin, and others. Click here to see what other events and personalities made our Top 10 list. This entry was posted in News, Press and tagged Anita Wilson, Anthony Evans, BET, BET Joyful Noise, Bobby Jones Gospel, Charles Butler & Trinity, Da'dra, Dale Anthony & Faith Out Loud, Emcee N.I.C.E., Kenny Smith, Maranda Curtis, Marica, Meachum L. Clarke & True Purpose, Monica Lisa Stevenson, NF, Preashea Hilliard, Rose Watson, Syreeta Thompson, Tye Tribbett. Bookmark the permalink. Trackbacks are closed, but you can post a comment.